Planners in the Yorkshire Dales have agreed to take enforcement action against the operators of a camping and caravanning site. The national park authority said pods built at Bainbridge Ings near Gayle are ‘alien features’. Its planning committee refused retrospective consent for the structures and gave the owners three months to remove the unauthorised pods and associated hard standings and fences. An authority spokesperson said: “Planning permission had been granted for a small circle of curved pods, which would have echoed the site’s former main use as a tented camp site. The planning officer’s report on the development at Bainbridge Ings said: “The pods appear as wholly alien features within the landscape that detract from the appearance of the site and the immediate area. Yorkshire Dales National Park Authority member John Blackie, who is also chairman of Hawes and High Abbotside Parish Council, told the planning meeting on Tuesday that the pods which had been installed were ‘abominations’. Bainbridge Ings caravan and campsite lies to the south of Gayle Lane about half a mile from the centre of Gayle, to the east of the Wensleydale village. It is a long established caravan and camping site which includes areas for tents, static caravans and touring caravans. Who in their right mond would choose these, unless its a city development trying to look trendy, or a posh military camp. Quite a daft business decission. How on earth did it get signed off in the first place? Look like they should be surrounded by JCB's and occupied by Navvies. I think they normally call them Portakabins. #Paul, you're absolutely right when you say, "sometimes change is good". The thing is, in this case it's definitely bad. As for "attract more people to the area" hilarious; I mean come on, anyone attracted to the area specifically because of those portakabins is in for huge disappointment when they see just how nice, countryfied and un-city like the rest of the place is. I doubt they are any less in keeping than what's there already - "It is a long established caravan and camping site which includes areas for tents, static caravans and touring caravans." - none of which are attractive. They look as if they are well installed even if you don't particularly like the look of them. I agree with Paul. Too many jobsworths and nimby stirrers. Look at the Auction Mart, Cheese factory, Carrs billington et al. The town isn't exactly short of eyesores, and the existing campsites are not pretty anyway. 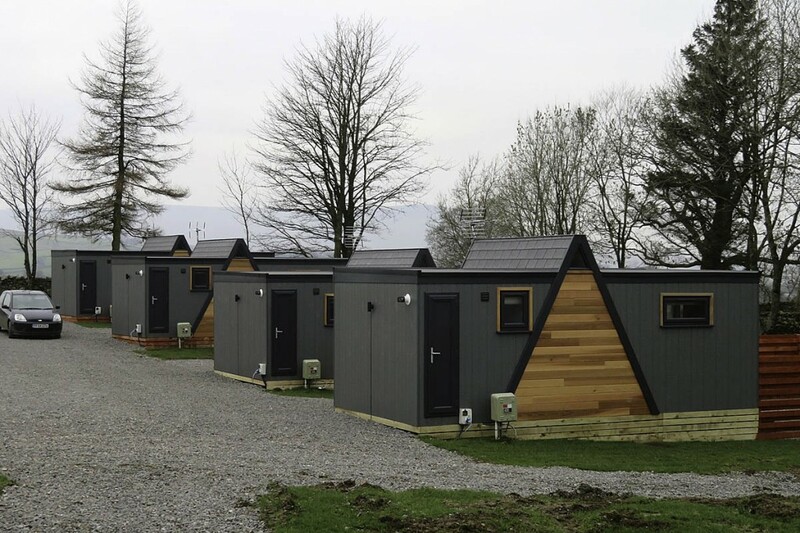 I like the look of these contemporary pods which could enable those reluctant or unable to use old fashioned tents and ugly caravans to explore and experience the Dales. Recently I have had the pleasure of staying on this site, and have nothing but praise for the welcome, and help when necessary, I was given. I agree, these pods do look "unusual", but what's wrong with a bit of variety.